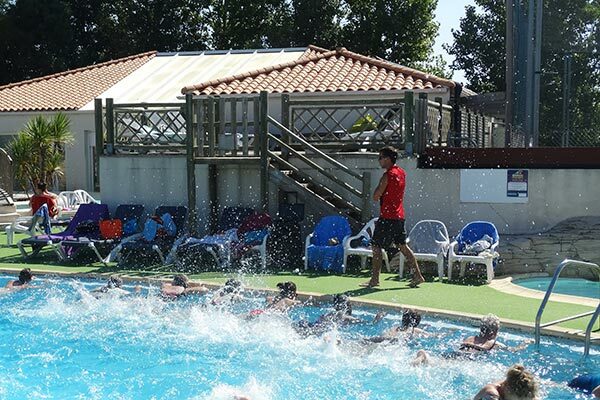 We warmly welcome you to La Grand’Métairie, 4-star campsite in the Vendée, for your holiday with activities for everyone, from April through the end of August! Are you looking for a trip that combines peace and quiet with sports and energy? 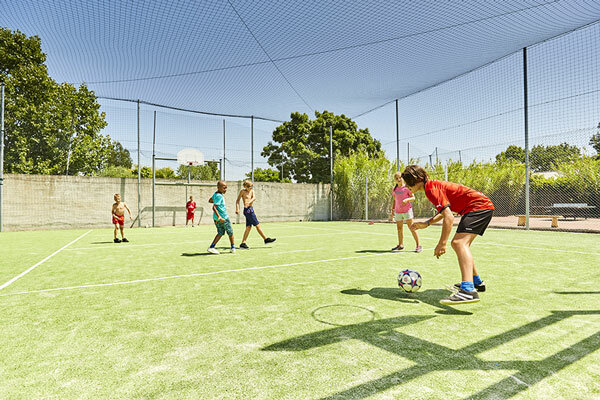 Our campsite, surrounded by Vendean nature, offers a variety of recreational areas: boules pitch, multisport field, tennis area and games room with billiards, foosball, video games and Wifi access if you want to play online from your phone or tablet. We organize various outdoor activities so that you can enjoy our green campsite. So, meet us at the pool in the morning to stay in shape with an Aquabody class. Then we continue the morning in good spirits with a more advanced workout. After lunch and a well-deserved nap, you can join us for a petanque game near the bar, and then learn some Latin dances. We organize sports competitions for adults, teens and children: football, basketball and water polo games, foosball tournaments. The bar/restaurant La Pergola opens in the early evening so that you can have a drink with friends or family! You can watch sporting events on our big-screen TVs. And then it’s time for the evening activities. 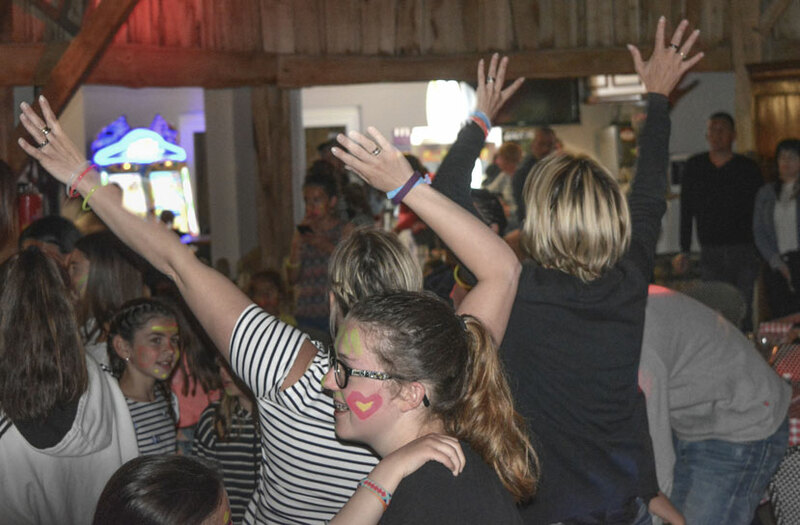 We have something for the whole family: Camembert the clown, karaoke, family trivia, and our fan favorites: themed parties with DJ Greg! Young and old can dance and have fun to old favorites and current music. At La Grand’Métairie, have fun with your loved ones and make lasting memories of your family trip! felis elit. mattis Curabitur quis, nec elit. massa elementum fringilla eleifend leo.